If you, family members or friends have ever experienced pain caused by arthritis, you know how serious this ailment is. Over a quarter of Americans suffer from arthritis; a condition that causes pains in the joints and bones. With over a hundred diseases under the arthritis group, about 100 million people are affected worldwide. Arthritis is prevalent among the elderly with the probability of about 90 percent of people above 60 having arthritis, though you can get it at any age. The phrase “you are what you eat” still comes into play when talking about arthritis since the two most common types of arthritis have been linked to nutrition. With studies showing that excessive weight and diet can be huge factors contributing to some types of arthritis, the role nutrition cannot be overlooked. Because the weight and arthritis go hand in hand, it is important to avoid excessive weight that will lead to aggravating arthritis. It is advised that patients eat healthy and include the basic nutrients such as minerals and vitamins. Designed to help curtail the incidence of arthritis, a poor diet will have a disastrous impact general health and subsequently on arthritis. Additionally, a large contributor in arthritic pain is excessive sugar. Fats found in fish especially Omega-3 polyunsaturated fats, have been found to be very beneficial in inflammatory arthritis. 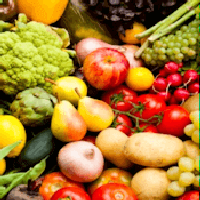 A balanced diet rich in vegetables, fruits, and fish are not only helpful to arthritic patients, but beneficial to heart health and the general wellbeing. Calcium has been a song to our ears right from elementary school as being essential for strong bones and teeth. A deficiency of calcium can also result in to osteoporosis especially in arthritic patients. A great source of calcium is milk. Vitamin D also plays a big role in arthritis due to its bone formation. This is why many milk options are fortified with Vitamin D.